After a long time, ago the Italian hacker Luca has offered the Yalu 10.2, to the public to blast their iOS 10.1 to 10.2 running 64-bit iDevice, based on the Google project Zero exploit. And the users who were unable to gain from this, waiting for a new cracking too. Well, you will be lucky for that. Now there was a notable jailbreak demo related to iOS 10.3.1 jailbreak from the prominent Chinese hacking team Pangu. Of course, still there was no any official notes from the Pangu official and the available details are from a third party. So, here is the available full details for you. If you are familiar with the jailbreak activities than Pangu is not a strange name for you. really, Pangu is one of the popular Chinese hacking team. And they own previous cracking tools, and their latest product was Pangu 9.3.3. after that Pangu only reveal their participation for iOS 10 jailbreak activities on Last June 2016 at MOSEC conference. 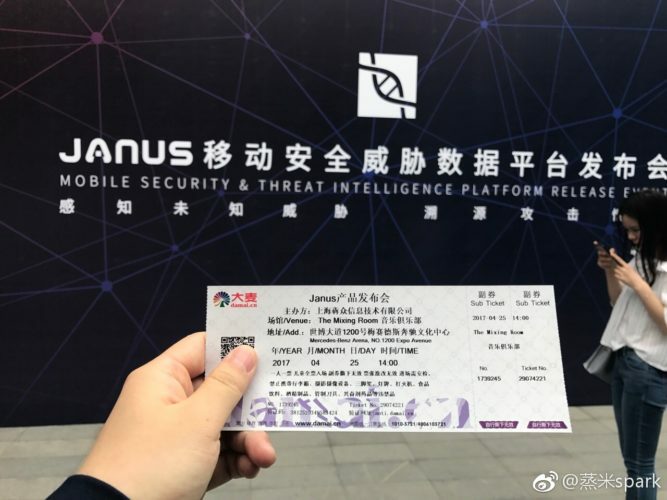 But after that Pangu maintains a silent procedure nearly one year and now finally, they have again come up with another iOS jailbreak on Janus conference several days ago. 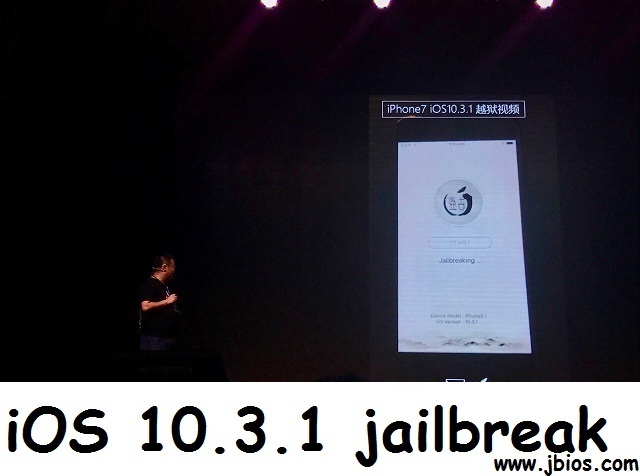 Have you got full details about the recent demo related to Pangu 10.3.1 jailbreak? Ok, if not here is the details for you. But at the beginning keep in mind, at the moment there were some images and a video clip circling around the web related to the latest demo. But those were not officially public by the Pangu team. they have posted by Min Zheng in his private Weibo account. But actually, we can’t neglect them because Min is a Popular jailbreak and iOS security supporter in China. When we go deeper on the demo it has taken place in the Mercedez Benz Arena on expo avenue in Shanghai. And the Technological conference has named as “Janus”. Further, this conference is limited for some selected crowd and not for a majority. Therefore, it’s ticketing procedure has run secretly, without attracting the public Eye. So, there was a limited range to have the full details about the demo. But according to the existing details, if iOS 10.3 jailbreak release then the iOS 10.3 and iOS 10.3.1 running 64-bit users can gain from the upcoming utility. But remember you can’t use it with any other older versions. And if the cracking tool release then it will be a great tool for the iPhone 7 and iPhone 7 plus users. Should you upgrade or no? Are you always in this confuse situation. Yes, after the jailbreak demo release most of the Cydia lovers are hurry to know that is it worthy to upgrade the device or not? well, then what is your idea? Of course, if you enjoy the features of current Yalu 10.2 jailbreak, then it is better to stay with that while the upcoming event release or got anything officially. And the others who missed the chance to gain from the previous tool and stay on iOS 10.2.1, 10.3 or 10.3.1 then no matter, you can stay there and don’t upgrade if the upcoming iOS version release. The other users have enough time to make the decision until iOS 10.3.2 release to the public. Because Apple normally closes the windows for the previous version after left several days oof the latest version release. Well if you are seeking to know about the release date of the latest Pangu jailbreak tool, then remember, at the moment we couldn’t notice any official note based on that. But there was a rumor that Pangu is ready to release their tool after Apple rolling out the upcoming iOS 10.3.2. Yes now Apple is seeding for the 5th beta for their upcoming event and we can hope an imminent release. So, let we see what will happen in future. Anyhow, you can stay tuned with us, if there is anything new then we will update you as soon as possible.